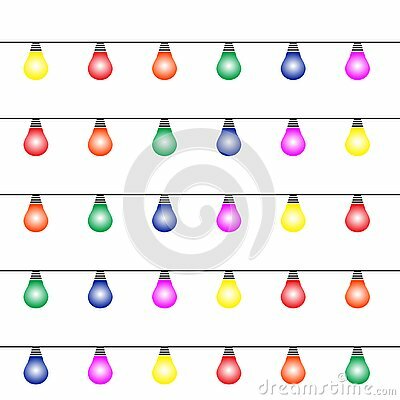 Glowing light bulbs design. Garlands, Christmas birthday holiday decorations. Card banner poster design. Background, texture, abstract. Color star or flower is insulated on black background.